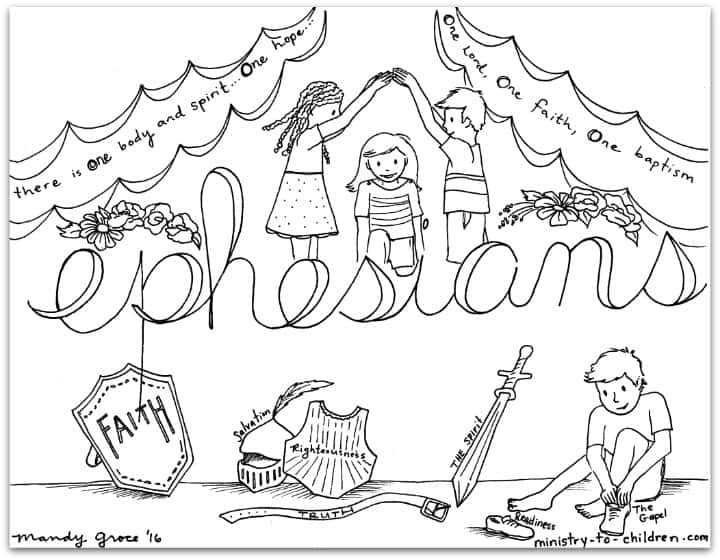 This free coloring page is based on the Book of Ephesians. It’s one part of our series of illustrations for each individual book of the Bible. The illustration captures the theme from Ephesians 4:4-6. There is one body and spirit… one hope… one Lord, one faith, one baptism.